With Eleanor Roosevelt’s quotation mentioned above, George Pickering (also a life member of NELTA and the past key note speaker of its international conference), who trains English teachers and supports Teachers’ Associations (TAs) facilitated the seminar ‘Sharing Best Practices: Strengthening and Extending Teachers’ Associations in South Asia’ on 11-16 December 2011 in the Brac. Inc, Savar on the outskirts of Dhaka, Bangladesh. There were thirty participants representing seven different TAs from South Asia: NELTA (Nepal), ELTA-A (Afghanistan), BELTA (Bangladesh), ELTAI (India), AzerELTA (Iran), SPELT (Pakistan) and Sri Lanka (SLELTA). I, along with other three members (Mr. Bishnu Silwal, Mr. Min Bahadur Gurung and Mr. Shankar Datta Bhatta) participated in the seminar that was organized by the Hornby Regional School (HRS), Dhaka Bangladesh with the British Council support. There were three main purposes of organizing the seminar: to offer TA participants a platform for sharing their success stories and best practices in key areas; to review TAs’ current strategic plans and facilitate on how to prepare an effective strategic plan; and to provide the participants with substantial capacity building training for strengthening and extending TAs in South Asia. The capacity building training was focused mainly on the core financial management skills like marketing, fund-raising and sponsorship, keeping membership databases, empowerment of members, and promotion of more transparent succession planning through open voting, recruitment, and role shadowing and mentoring. Besides, the seminar provided an opportunity for the TAs in South Asia to establish stronger links among them. We were asked if TAs have their strategic plan, which most of TAs had. Following the review of our plans, the course director provided us with some guidelines for preparing better strategic plans. The analysis of the current situation, considering both internal and external customers, using the Strengths, Weaknesses, Opportunities and Threats (SWOT) framework is important for preparing a strategic plan. While objective, which should be SMART (Specific, Measurable, Attainable, Relevant and Time-bound) is a key component of a strategic planning, its implementation and monitoring are equally important. We all participated in a selective attention test that showed us how we miss another aspect while focusing on one aspect. We concluded with the fact that proper strategic planning from the bottom-up is unnecessary to materialize the mission of TAs. Teacher Associations need funds. Fundraising is an integral aspect of running an association successfully. Like Helen Keller’s quote, “Life is a daring adventure or nothing”, fundraising is an adventure and can be a fun if it is planned properly and make clear to others about who we (the associations) are and why somebody should give us funds, as George mentioned. Convincing logic, clear targets and proper communication of such targets to potential sponsors are instrumental in fundraising. Preparing a credibility file consisting of promotional literature, letter of endorsement from experts and prominent figures’ saying about the associations is necessary for convincing sponsors. One of the participants, Sheilagh Nelson, suggested to find out the annual calendars of the potentials sponsors. George presented the key principles of fundraising: giving priority to hi-touch before hi-tech, personalizing message and benefits to the sponsors; and including stories and using visuals to authenticate the message being communicated. Organizing conferences is one of the main events of TAs. The conferences provide a rich platform for teachers to learn collaboratively through an exchange of their experiences with national and international professionals. Organizing successful conferences is, however, a challenging task. All we need is to pay attention at all the phases of a conference (pre-, while and post). The selection of the conference theme, keynote speakers/plenary speakers, quality of presentations, good communication, participation of teachers, food, accommodation and transportation services to the participants, social activities, variety of speakers in terms of levels and geographical regions, volunteers, provision of training materials and handouts, exhibition and shopping/site-seeing, etc. are the things that should be taken into a consideration before and during the conference. The post conference phase, which includes publication of proceedings, journals, dissemination of PowerPoint sharing among the participants and thanksgivings and acknowledgement to the presenters and other concerned stakeholders and press coverage, is equally important for the success of the conference. The organizers must review the conference to learn from the past experience and plan better for the future. George said, “Every moment of contact with a member is a chance to impress or disappoint him or her”. As a conference organizer, the teacher association should always try its best to leave positive impression in each and every moment of truth for there is never a second chance for leaving the first impression. Leaving such impressions comes up with different avenues to make it difference and better. The success of an association depends on the quality of leadership it has. Teachers associations are non profit making organizations and they have continuous change in the leadership and therefore, the new professionals need to be groomed and empowered for handing over the coming leadership. The ‘Leadership Development and Succession Planning’ session was very useful to provide the participants the ideas of mentoring/coaching and leadership training program for preparing the new leadership. During a mentoring- coaching session, George demonstrated Catherine Kelly’s ideas on the GROW model of mentoring, wherein Goal (Coach and Clint agree on the topic of discussion) Reality (What is the current reality? Invite self assessment and seek specific examples), Options (Suggestions and choices made), Warm up (Commit to action and agree time frame and support required). He summed up the session with the facts that mentoring does not mean imposing. Thus, offering suggestion (Would you like to try this?) can be the best way of mentoring. It is always easy to give suggestions but difficult is to follow them. People join TAs for different reasons such as practical benefits, sense of belongingness, professional support, desire to make contribution to society, and professional advancement. The role of the leadership is imperative for meeting different expectations of its members. Information and technology is an integral part for the development of TAs. This is the age of C generation which includes connected, communicated, connect centric, computerized and always clicking. The use of technology saves our time, money and efforts and provides wider exposure to the members beyond geographical barriers keeping them together through professional networking. The web technologies used by teacher associations include TA websites, social networking sites like twitter, face book and LinkedIn, VLEs (Moodles), Google docs, Skype and blogging. It does have environmental benefits too since it helps the association to minimize the excessive use of paper. Collaboration, linkage and networking with likeminded organizations for TAs. George explored some possible areas of collaboration, linkage and networking with regional level activities which included the publication of newsletter, peer support review, organizing regional conferences, sharing speakers, rapport building with contact persons from each TA and creating yahoo groups. Finally, we agreed on leading regional cooperation forward with further discussion. Sharing and reviewing the best practices among TAs. The membership of different special interest groups (SIGs) of Bangladesh English Language Teachers’ Association (BELTA), well organized website of Sri Lankan English Language Teachers’ Association (SLELTA), mobile conferences of Society of Pakistani English Language Teachers (SPELT) and regular meeting on every Saturday and a wide range of activities including the publication were the best practices sharing among TAs. However, we were all moved by the struggle English Language Teachers’ Association of Afghanistan (ELTAA) is facing because of insecurity in the country. This is a kind of peer support review and evaluation too, which provides us an opportunity to exchange and replicate the successful ideas from one another. The seminar concluded with the feedback session, for which we were provided with a questionnaire and Catherine’s inspiring suggestions, “Less is more, do not put for tomorrow what you can do today, set your own objectives, and say what you mean and mean what you say”. The reflection of the seminar does not end here if delicious food, cozy accommodation and other management facilities provided are not appreciated. Besides, organizing social gatherings by a riverside reflecting the flavour of cultures of Bangladesh, shopping and boating trip were worth mentioning here. A short film capturing the events of the HRS, which I got to know later was shown at the IATEFL Conference in Glasgow 2012 during Associates’ Day. The seminar was successful in enabling TA participants to share their best practices and collaboratively learn specific skills required for running the teachers’ associations effectively. We, the participants not only learnt about necessary organizational skills required for successful associations but also the ways of organizing successful workshops and dealing with adult learners. My sincere thanks go to the British Council, Nepal for providing us with such an opportunity and the gratitude to the course director George Pickering who facilitated the seminar in an interactive and learner friendly way. This is really a great sharing of the great event organised on ‘Sharing best practices: Strengthening teachers associations in South Asia’ that the author has made. Though it is delay in bringing out the sharing for publication, I am impressed by such an event. Strategic plan of an association is a must for leading and promoting ahead meeting the mission, vision, goals and objectives of the association. This can be an inspiration and motivation to all those involved in the associations to follow the strategic directions mentioned in the write-up. 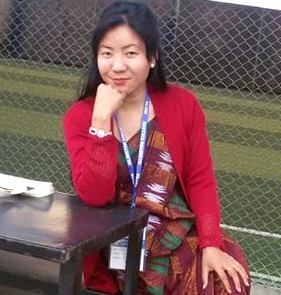 Being a member of NELTA, I feel glad to know the seminar was successful in enabling you three participants from Nepal to learn about necessary organizational skills required for successful associations and the ways of organizing successful workshops and dealing with adult learners. But here begins my curiosity regarding this and I would like to ask the concerned officials including you – Have you organized similar type of workshop/seminar for NELTA colleagues at centre or any branch for dissemination of the ideas you have learned. However, the publication on the blog has done the great job for the purpose. We have more than 30 branches nationwide. Most of them are doing great and I believe they own the best practices. For instance, NELTA Chitwan is doing the best in collaborating with local based likeminded organizations like PABSON, DEO Chitwan, etc to organize different activities, NELTA Sindhuli broadcasting Radio Programme, etc. Have we ever organized such an event to promote our branches sustainably so that they could share their best practices and replicate them? I hope the concerned ones would pay their attention to replicate the sharing of your sharing at the centre and branches of NELTA. Thank you Madhu Ma’m for sharing. Thank you for your article. I’m particularly interested in one of the points that you highlight, namely “Information and technology is an integral part for the development of TAs.” This is such an idea that has tremendous potential; however, I’m curious to know how much measurable/attainable this point currently is, specially in the context of Nepal. If you could provide me some representative accounts of teachers in today’s Nepal using computer etc. technology, and may be some kind of projection of for a decade or so, that would be quite helpful.